Our organization also excels in manufacturing and exporting an enticing collection of Saddle Pads, which is designed with utmost perfection to comfortably fit on the back of the horse. The range offered is quilted, with stitching across the pad to keep the stuffing i.e. saddle in place. Designed and developed making use of soft and optimum grade raw material, these pads are highly suitable for long rides as pads are very comfortable and also provide utmost protection to the back of the horse. Our firm specializes in providing a quality array of Saddle Blankets. This particular product offered by us is mainly used for horse riding and draws the attention of our clients from all over the world by its beautiful design, latest style and shapes. We offer Saddle Blankets at par with the international standards and also at really affordable prices. 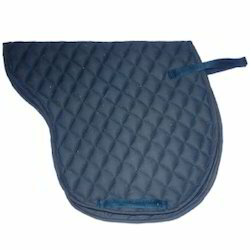 Over the years of experience in the industry, we have been able to provide the customers with Saddle Pad. Quality-approved fabrics and other basic material is utilized in developing these bindings, which conforms to the international quality standards. Post-production, these bindings are tested on various parameters to ensure flawlessness. We hold immense expertise in catering to the variegated requirements of the customers by bringing forth a remarkable Saddle Pad of Horses. Under the guidance of our experts, these trims are manufactured utilizing high-grade fabrics and other basic material that is obtained from the reliable vendors of the industry. With the aid of modern tools and sophisticated technologies, we have been able to provide the customers with Saddle Pad . Our offered matching rim is developed at our sophisticated infrastructure facility with the aid of ultra-modern machines and technologies, which are operated by our professionals. Furthermore, these matching trims conforms to the international quality standards. Our clients can avail from us a wide gamut of Quilted Saddle Pad at par with the international standard to ensure reliability and durability. 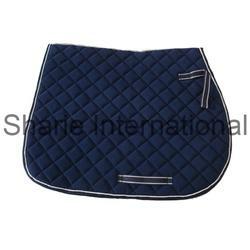 Our professionals help us to become the well known manufacturers of Quilted Saddle Pad. Our products are in great demand in the international market and are available in various designs, colors and shapes at optimum price. 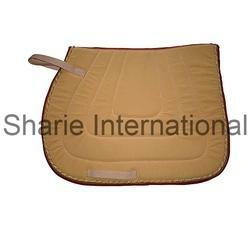 We are the most trusted name engaged in offering the quality Horse Saddle pad. Our products are in great demand in international market because we make use of advanced technology and high grade components and leather procured from our reliable vendors. 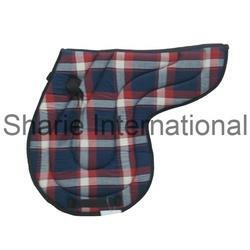 Horse Saddle pad are intricately designed in order to sit in a perfect manner on the back of a horse. 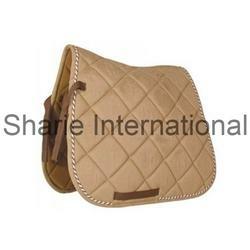 We are one of the noted exporters of Quilted Saddle Pad. Clients can avail from us these products of various designs, colors and shapes at par with the international standards. 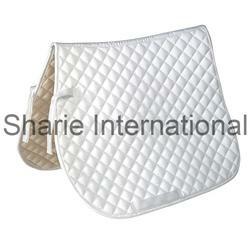 Our firm is engaged in manufacturing Quilted Saddle Pads of perfect finish and design. Our products are available in the market at industry leading prices. 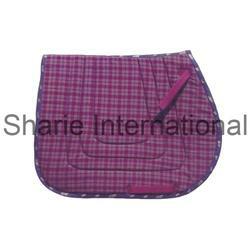 Our company is involved in manufacturing and exporting Saddle Pads of high quality and perfect finish. The products offered by us are crafted by our craftsmen at par with the international standards to ensure durability and reliability. 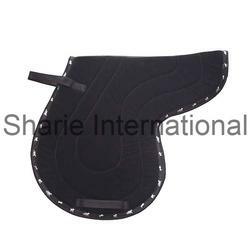 Our clients can avail from us saddle pads of numerous designs, styles and shapes and also of high standard at market leading prices. 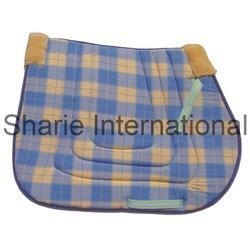 Owing to our expertise in this domain, we manufacture and offer a wide gamut of Horse Saddle Pads. 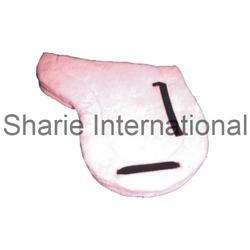 Our firm is engaged in exporting Horse Saddle Pads of international standard and of various designs, styles and shapes catering to the requirements of our clients. Our reliable vendors help us to manufacture the best quality Horse Saddle Pads by using latest technology. Driven with perfection, we are engaged in catering to the variegated requirements of the customers by bringing forth a comprehensive Riding Saddle Pad. In order to cater to the diverse requirements of our clients, these contrast trims are developed in adherence with the international quality standards. Available in different colors and sizes, these trims are known for colorfastness and high tear strength. Looking for Horse Saddle Pads ?